18/12/15 – I’m on Christmas holiday! Yessssss it’s officially Christmas time! Today was my last day in the office until the 6th of January!! I’m loving work at the moment, but it’s definitely time for a well earned break..
After a number of gins at works bar, I’m now back in my lovely home with my lovely man and a mug of camomile tea. Happy Christmas! 17/12/15 – Angel of the Year! 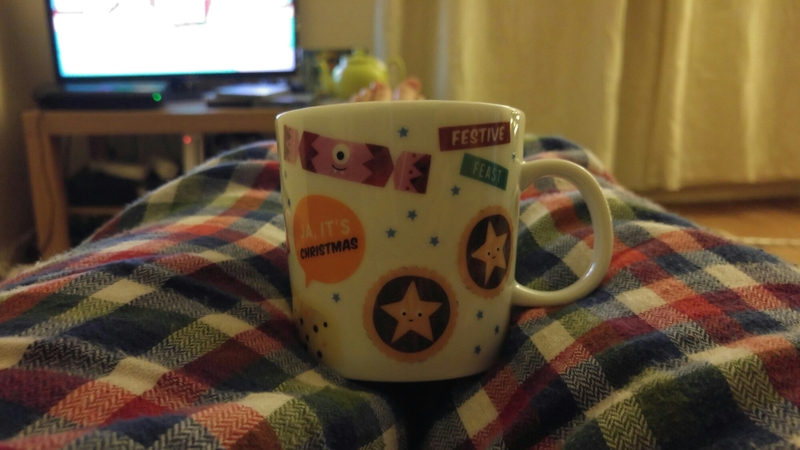 19/12/15 – Cheers for Christmas!